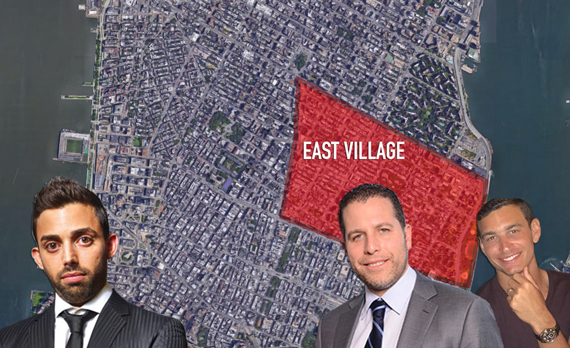 Madison Realty Capital has moved to foreclose on one of Raphael Toledano’s major East Village portfolios, sources told The Real Deal, less than 18 months after Toledano pulled off the audacious and heavily leveraged acquisition. Just three days before Madison filed to foreclose on the buildings, sources said Joseph Sutton, son of retail mogul Jeff Sutton, signed a hard contract to buy the buildings from Toledano for about $145 million. Madison , according to documents filed in New York State Supreme Court late last week, claims Toledano, the founder of Brookhill Properties, owes the firm about $140 million, which includes $125 million in loans against 15 properties, plus interest and attorneys’ fees. Sources close to Toledano said that after he defaulted last year, Madison waited months to initiate foreclosure proceedings, allowing time for him to find a buyer for the properties. Representatives for Madison, Brookhill and Sutton declined to comment. In September 2015, Madison lent Brookhill the funds to finance his acquisition of the 16-building portfolio, which includes over 300 apartments and 15 retail spaces between East 5th and East 12th streets. Rosewood Realty Group’s Aaron Jungreis, Toledano’s uncle and initial partner on the portfolio purchase, acquired one of the buildings as part of a lawsuit settlement prior to the closing. Toledano paid the Tabak family $97 million for the portfolio, and the Madison loans covered the acquisition as well as future renovation costs. Market observers had said that Toledano, a 26-year-old investor who described himself as “the ultimate of developers,” was in way over his head. The properties are: 27 St. Marks Place, 66 East 7th Street, 514 East 12th Street, 223 East 5th Street, 229 East 5th Street, 231 East 5th Street, 233 East 5th Street, 235 East 5th Street, 228 East 6th Street, 253 East 10th Street, 323-325 East 12th Street, 327 East 12th Street, 329 East 12th Street, 334 East 9th Street, and 510 East 12th Street. The Suttons ventured into the New York City multifamily market last year, with small acquisitions such as the $11 million deal for a West Village property at 275 Bleecker Street. Acquiring the Toledano portfolio would be, by far, their biggest residential deal yet. Late last month, Madison moved to foreclose on what is said to be Toledano’s most valuable property, a Chelsea rental building at 125 West 16th Street. Toledano named the building “the Devorah,” after his wife. If the sale goes through, Toledano’s remaining Manhattan holdings would total about a dozen, including East Village buildings from a subsequent Tabak package and 125 West 16th Street. In a June interview with TRD, Toledano insisted that he was against the concept of selling real estate.